The creation of a truly global orchestra, bringing together people from around the world and enableing, using new media, creative and enthusiastic cooperation of recognized musicians and emerging talents. This is YouTube Symphony Orchestra. 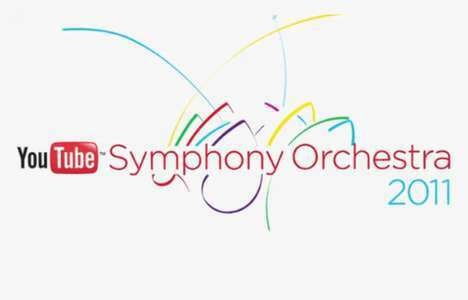 YouTube Symphony Orchestra is a project in which, via You Tube, 101 musicians from 33 countries were selected. The contestants were required to record themselves performing the piece on their own instruments. However, since the piece features sections of improvisation, players are also invited to send in clips of themselves improvising. Selected musicians then met on a one-week festival of music and co-operation in Sydney. Thanks to the variety of Internet and the opportunities offered by online collaboration, the power of music was used as a common language on a global scale. What began with auditions from around the world uploaded to YouTube, millions of video views, and hours of rehearsals, finally came to life in March 2011. Its final part was a grand finale concert at Sydney Opera House under the baton of Michael Tilson Thomas, transmited live on YouTube. This event also included multimedia video projections inside the concert hall and on the outer walls of the Grand Opera House and distinctive show of painting on glass with sand to a song played on the stage. What is the innovation of this project? Primarily the use of new media, specifically You Tube, to a few key elements of the project. Firstly, it’s so far the only band on a global scale, to which the recruitment took place exclusively online. Applications meeting the requirements have been evaluated by representatives of the contest administrator, on the basis of criteria set out in the official rules. Top rated applications were forwarded to the group of experts, consisting of representatives of leading orchestras and musical organizations from around the world. Expersts have chosen applications (in form of YouTube videos) which became the subject of voting for the members of the YouTube community. Given the results, the final decision was made by voting of the artistic director of the orchestra. Secondly, the final concert, which took place at the Opera in Sydney, where the invited artists performed together with a team of the Opera, was broadcasted live (in HD). Naturaly, thanks to this, the concert was available to audiences around the world at the same time. Of course TV offers a simmilar range, but not many events are available live in all countries where people have free access to the Internet. Moreover, You Tube was used to present course of the entire festival at youtube.com / symphony. Thirdly, have the appropriate applications associated with a concert dedicated to mobile phones. So what were the effects of the project? – More than 13 thousand. comments on only in the channel YTSO 2011. According to Wikipedia, it was the most-watched live music concert on the Internet, and the most frequently viewed concert in the history of the video-sharing website (!). The worldwide audience figures confirm a total of 33 million people watched the YouTube Symphony Orchestra finale. This includes 11.1 million live streams of the three-and-a-half-hour event, displacing rock band U2 as the most-watched live music concert online. « The Cyber Cafe Is Dead. Long Live The Cyber Cafe!